Attention all IEEE AUTOTESTCON attendees and exhibitors! The dates for IEEE AUTOTESTCON 2019 have changed! 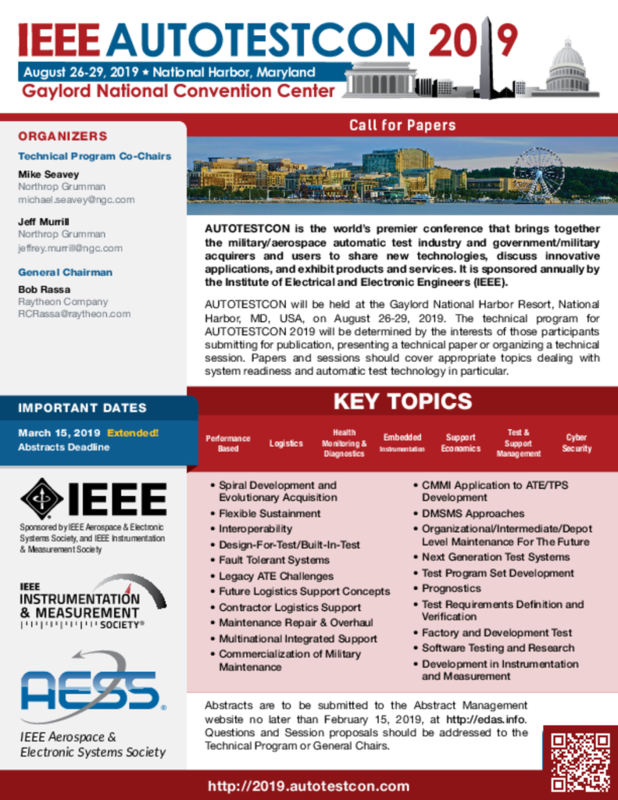 IEEE AUTOTESTCON 2019 will now be held at the Gaylord National Convention Center, National Harbor MD (Oxon Hill) from Monday August 26 to Thursday August 29, 2019. The reason for the date change is that we needed additional exhibit space as well as additional meeting space due to the large increase in attendance and exhibitors that has occurred since we initially booked this venue. Room rate of $199.00 per night! And since we are in the last week in August, you might want to consider bringing the family and enjoying the Washington DC area, since the facility is only 10 miles south of DC. And don’t forget the new MGM Grand Casino that recently opened, offering a dining and gambling experience that exceeds anything outside of Las Vegas. It is a mere mile away, with a shuttle that runs regularly. AUTOTESTCON will be held at the Gaylord Convention Center Hotel in National Harbor, MD, USA, on August 26-29, 2019. The technical program for AUTOTESTCON 2019 will be determined by the interests of those participants submitting for publication, presenting a technical paper or organizing a technical session. Papers and sessions should cover appropriate topics dealing with system readiness and automatic test technology in particular.